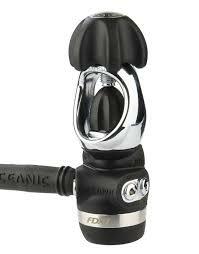 The Oceanic Omega 3 regulator paired with the new FDXi first stage is a bit of the black sheep in the current market. The first thing many people will notice is that it is a side exhaust regulator, but it is so much more than that. The Omega 3 is the 3rd generation of the Omega family, earlier generations the 1 and 2 are still coveted by divers and their simple design makes for easy upkeep and an assortment of customizable options. 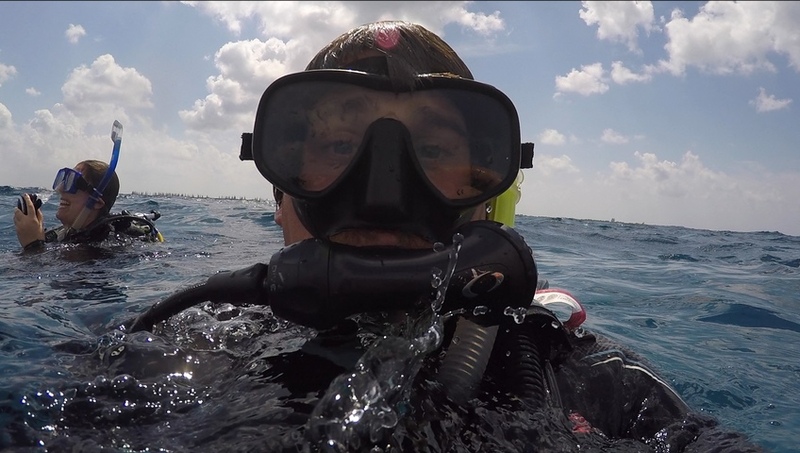 My first experience with the omega line was a few years ago after my scuba pro second stage fell apart during a dive, in dire need of a replacement and low on funds I found an old Omega 1 at the shop I was working at. The side exhaust was a breath of fresh air, no more bubbles all over my face when I am looking around. The metal servo valve also allowed contestation to build which eliminated dry mouth. So when I heard that Oceanic was preparing to release the new Omega three I began to save up. With the Omega 3’s sleek design that brings the classic Omega shape into the 21st century. Along with the new design Oceanic also added a pre-dive switch, and pivot to the second stage, reducing free flow that omegas were notorious for, and improving comfort for the user. The Pros: With the design of this regulator and the use of a servo valve instead of the standard on demand valve, the effort needed to breath is almost non-existent. 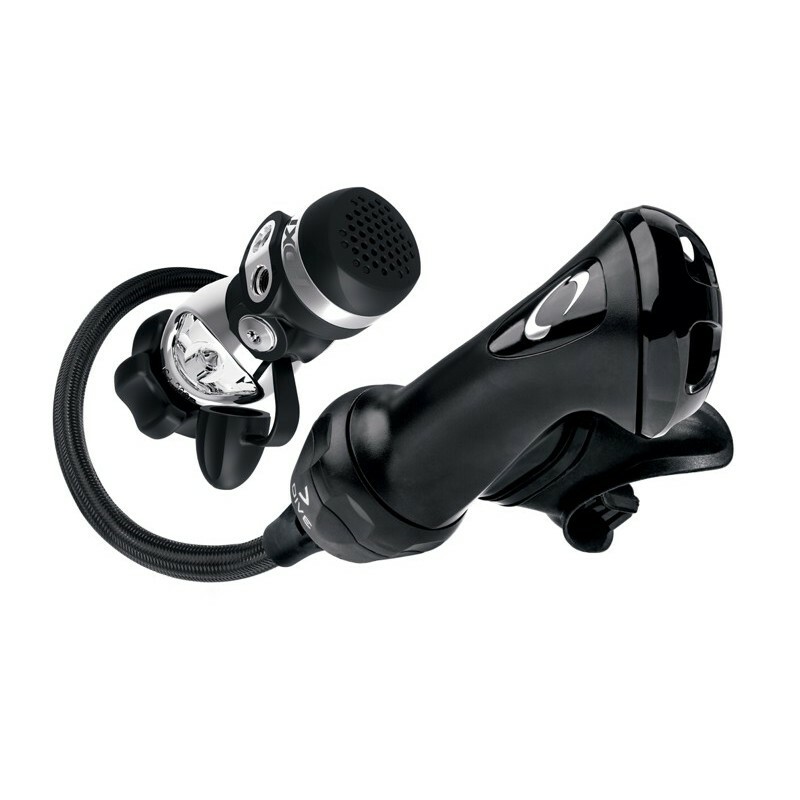 the side exhaust design reduces the sound underwater because bubbles are no longer rushing past both ears, only one ear. This can take a little getting use to but overall it is a quick transition. The metal servo valve allows for condensation to build inside the housing reducing dry mouth, and the issue of being a wet breather found in the 1st and 2nd generations of the Omega’s has been solved. The pivot on the second stage makes for comfortable position of the regulator, no longer being pulled or torqued when looking around. The pre dive switch is a happy addition to deal with the finicky free flow of the previous generations, a quick twist of the base and you are ready to dive, easy to use wearing even the thickest gloves. The FDXi first stage provides the simplicity and sturdiness of the FDX10 but in a smaller sleeker design. In terms of upkeep, the simplicity of both the first and second stage make for quick turn around times during services, and require minimal parts specific to Omega 3 and FDXi. 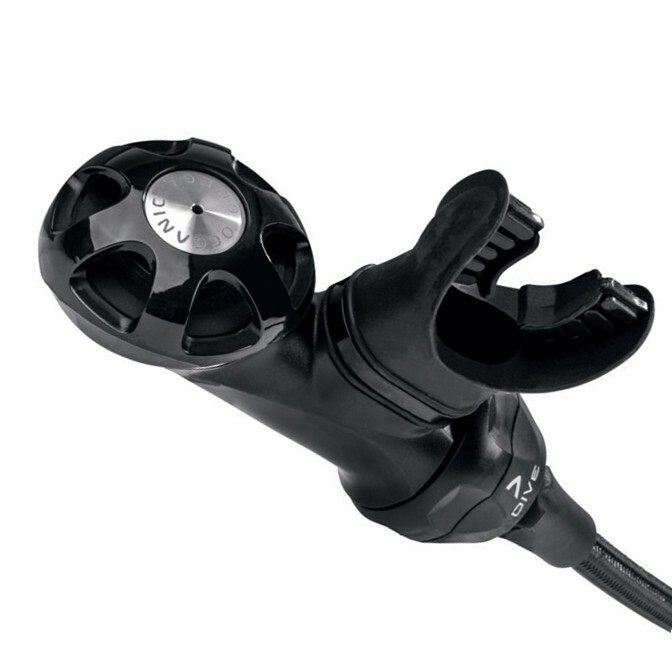 The Cons: Even though this regulator is a very easy breather, there is still a bit of adjustment that is needed to make perfect for each individual diver. There is an adjustment port at the center of the exhaust that with a screwdriver can be adjusted to increase or decrease the inhalation effort, this can take a little bit of time to get it to your own personal setting for comfort but once it is set you don’t have to worry about it. My only real issue with the regulator is the first stage, it works very well but the ports are placed a little to close together so in order to remove one hose you might have to remove them all. If you use a transmitter for your computer it is very difficult to fit a crescent wrench in to secure. My last issue with the FDXi first stage is the yoke frame, it is very broad and makes it so the first stage does not fit all tank valves which can be a little inconvenient. Overall this is an amazing regulator, it breaths well, it is very comfortable to use and the side exhaust makes for in my opinion a much more enjoyable dive. The Oceanic Omega 3 may not be for everyone but I do Strongly encourage every diver to give this side exhaust regulator a chance because it may just change the way you dive. Unfortunately through industry connections I have been informed that the Omega 3 has been discontinued, because of diver complaints of it being a wet breather and finicky. These characteristics that divers complained about were staples of the Omega design and what made it so unique. Although this may not be ideal for all divers for some these qualities can be seen as an advantage along with its ambidextrous nature, and welcome the out of the box innovation that the Omega and all generations have incurred. As a diver I will sorely miss this marvel of design and am sorry that other divers misunderstanding of this piece of equipment will call for its discontinuation of production. Oceanic Omega 3 video review.